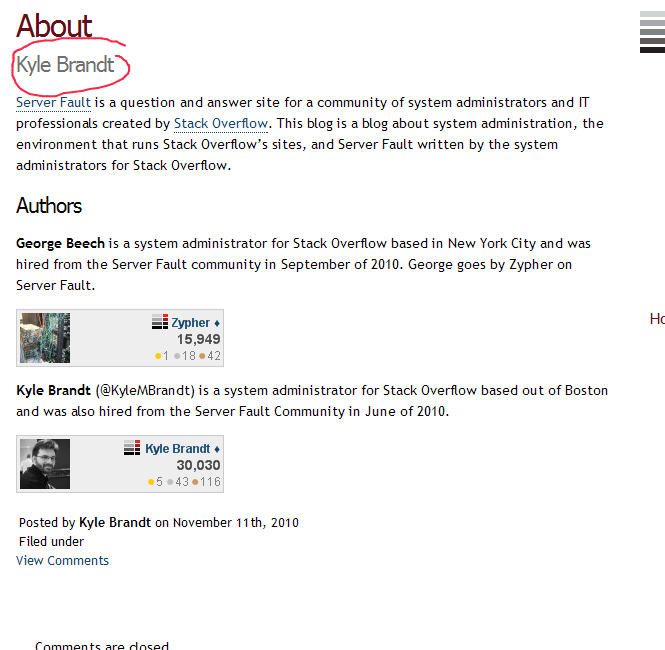 See below image from the Server Fault blog about page, but it kind of seems like a mistake that Kyle's name appears here (no offense Kyle, love your work and your blog posts/insight).. It is the same as SO's blog about page though...still, I think it needs changing. Not the answer you're looking for? Browse other questions tagged feature-request status-completed blog .